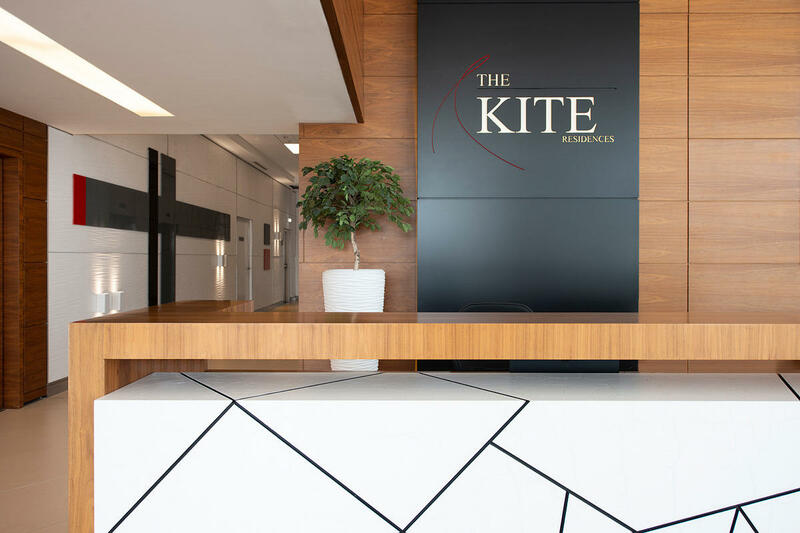 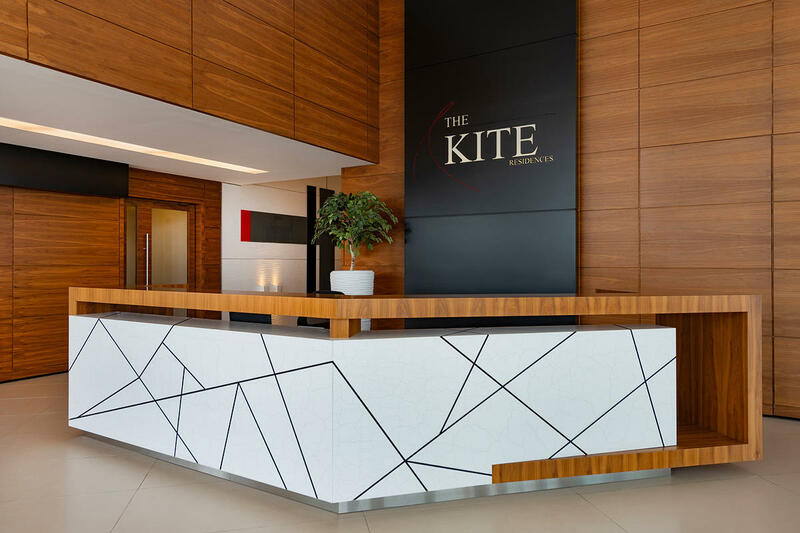 Designed by Architecture & Planning Group (APG), The Kite Residences is a residential tower located on Al Reem Island in Abu Dhabi. 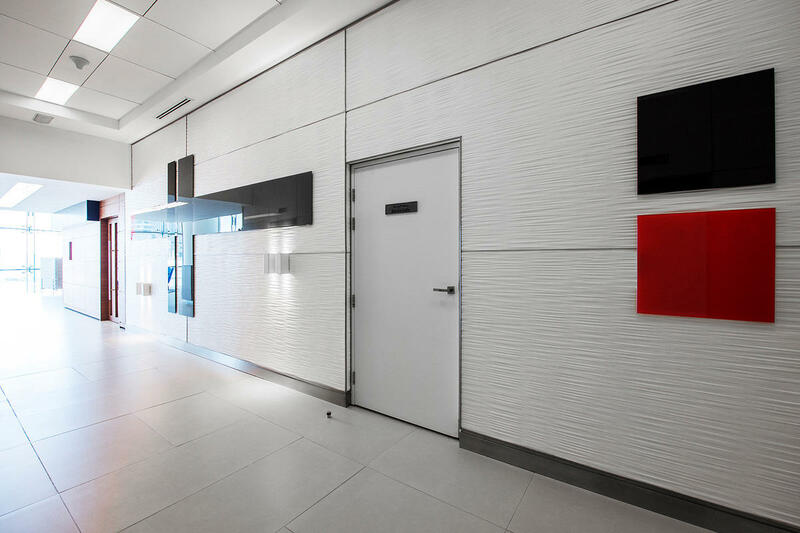 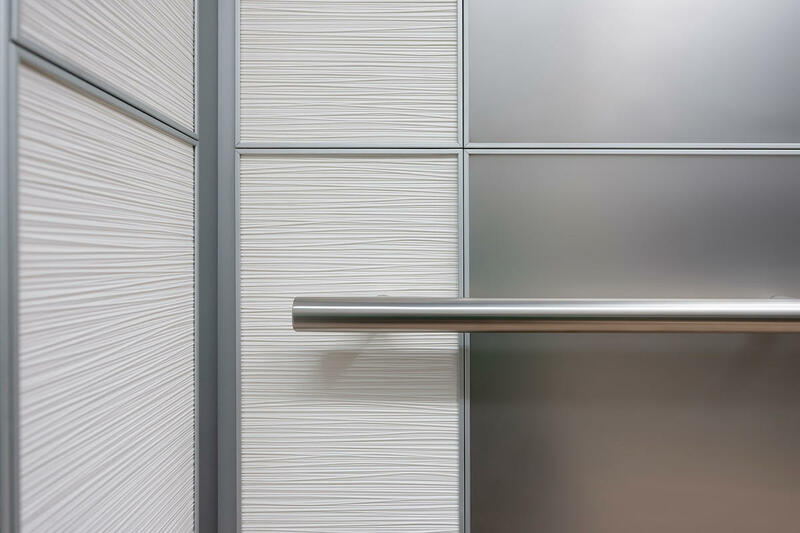 Bonded Quartz brings textural and visual interest to the building’s elevator lobbies on all 33 floors. 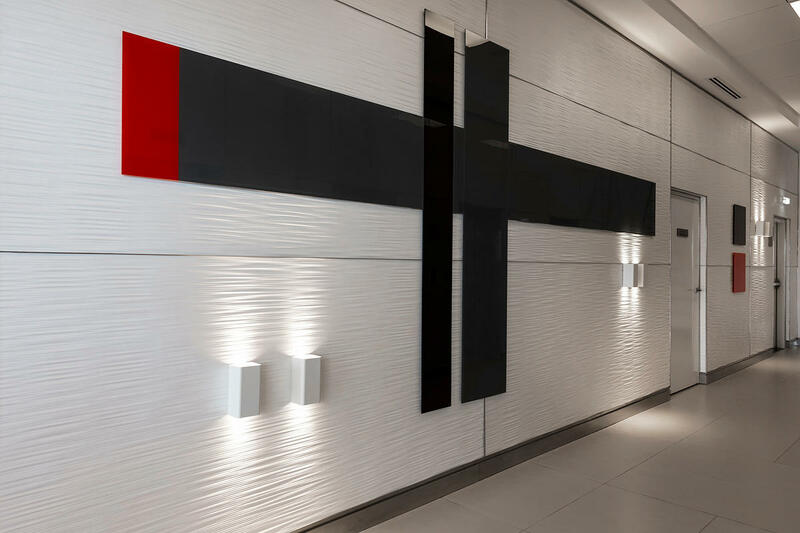 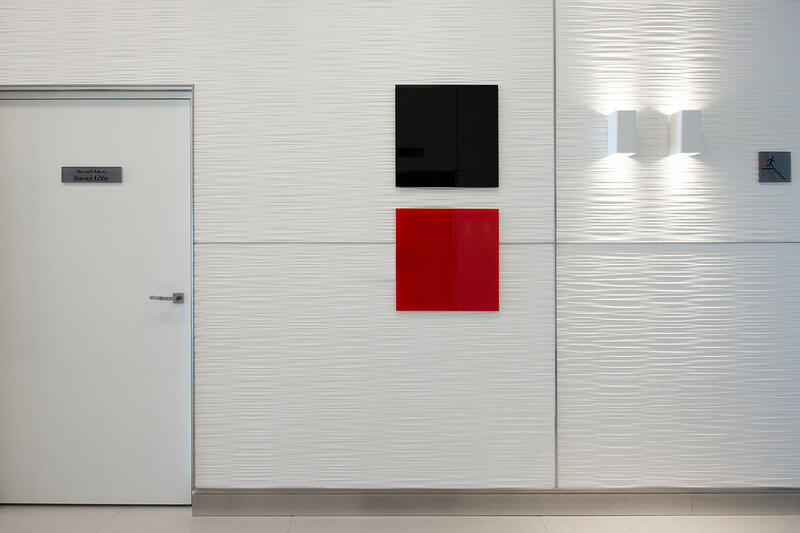 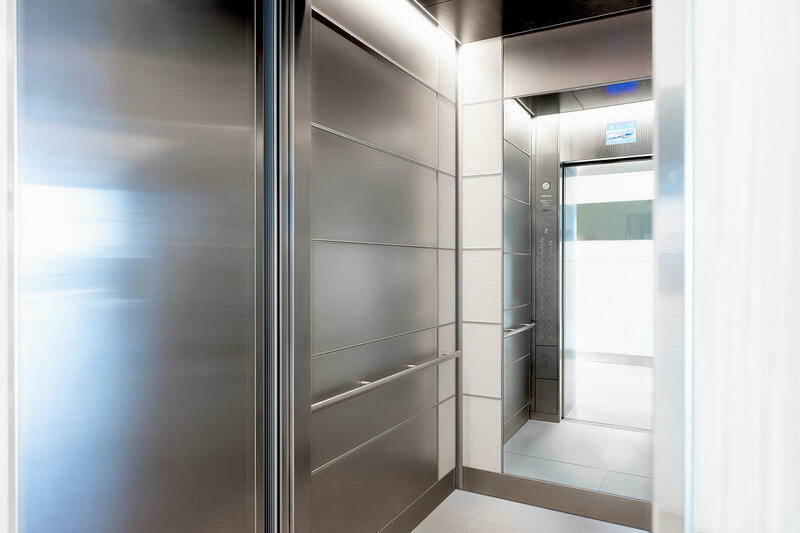 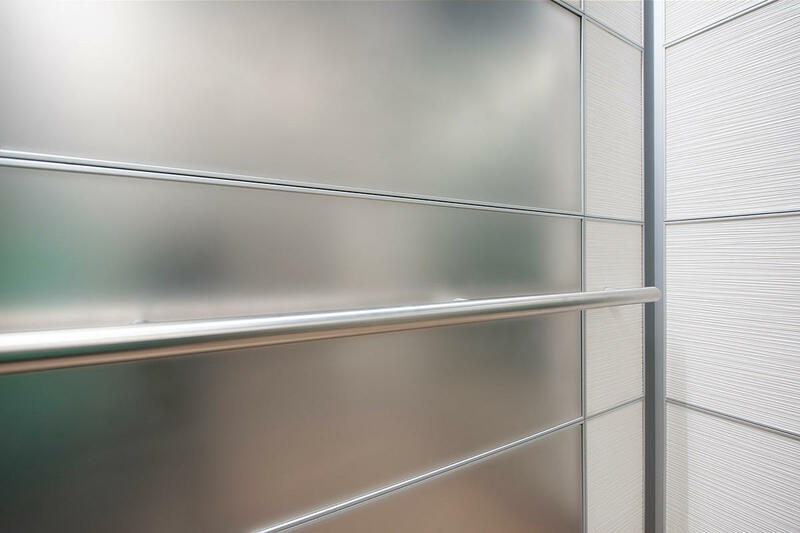 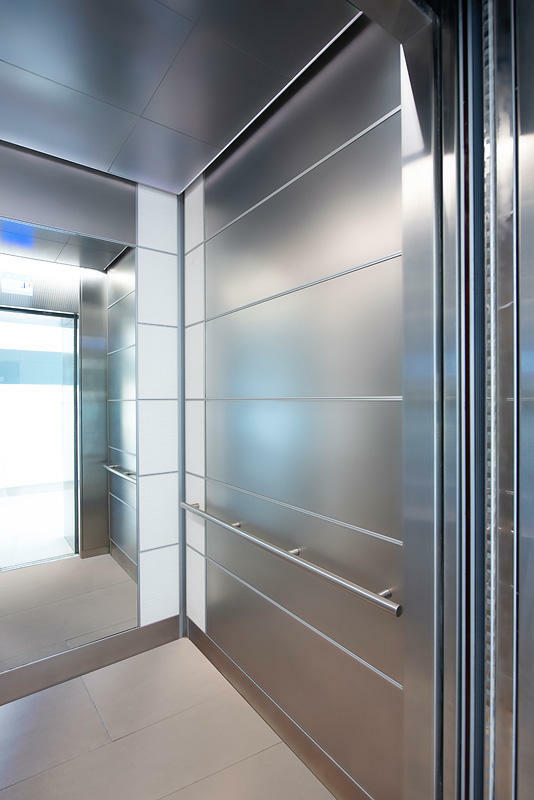 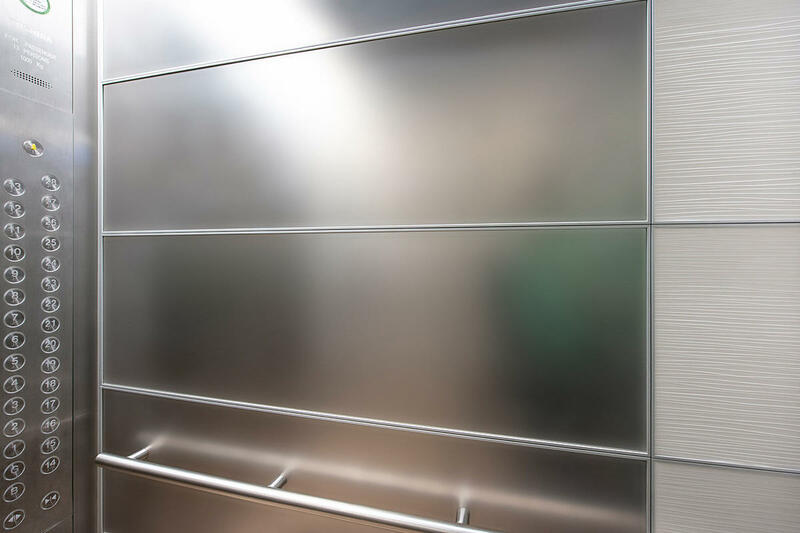 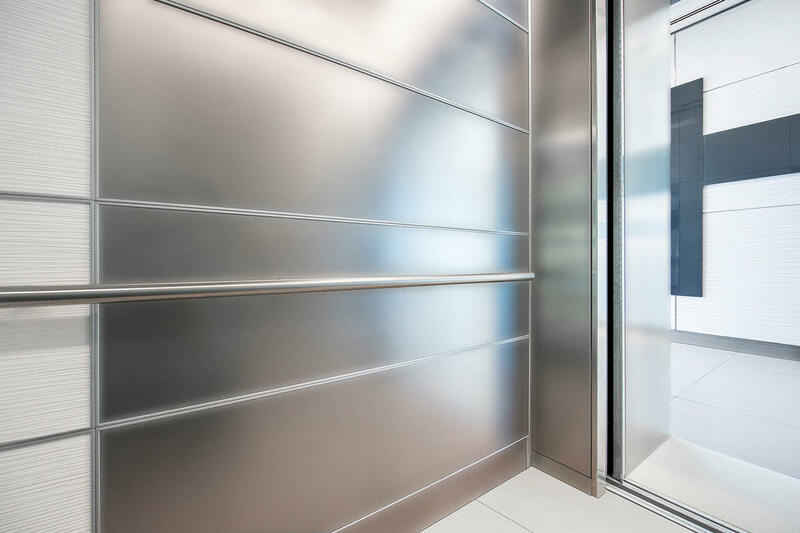 Creating a harmonious design, the durable surfacing material is also used as an accent in our LEVELe Elevator Interiors.